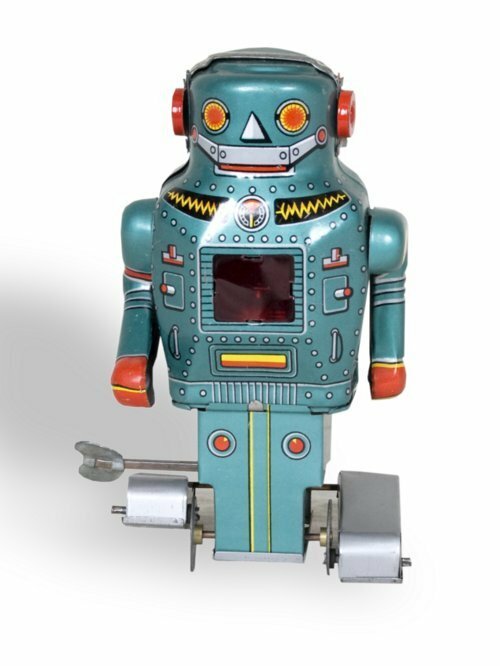 Known as the "Mechanical Mighty Robot" this toy has peddle style foot action when wound rolling it forward. It was made in Japan by Noguchi between 1960 and 1970. Japan dominated the production of toy robots after World War II. The U.S. "Space Race" to explore the solar system in the late 1950's to early 1970's generated huge public interest and a large market for space related products.